Where I’ve been for the last 2 weeks: campus & radio appearances! 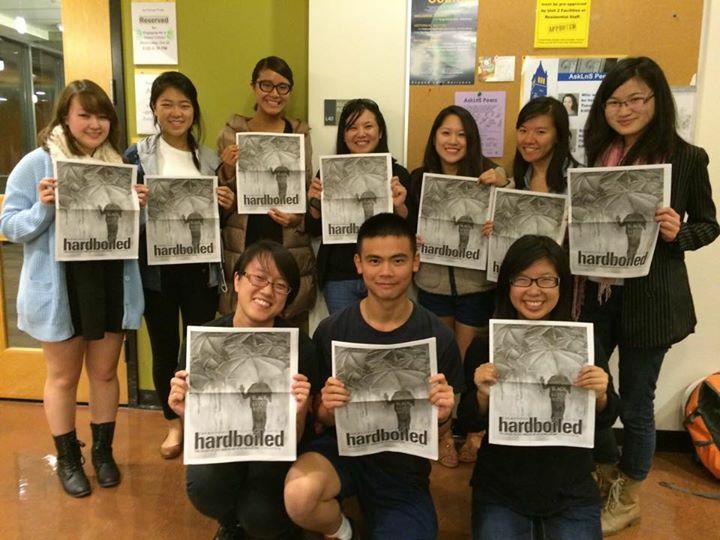 Me and the staff of UC Berkeley’s Hardboiled! Regular readers of this blog might have noticed that I’ve been seriously M.I.A. for the past two weeks. For the first week, I was attending a conference in California where I snapped this picture of a nearby state beach; for the second week, I was so busy upon my return that I didn’t even have time to check my (work) email, let alone my blog email or to write blog posts. There’s a ton of stuff I’ve missed, and I apologize to all of you for leaving you in the lurch like that (I need an intern!). But, during the past two weeks, I did have a chance to do several media and on-campus appearances, which I’d like to tell you guys about! Posted on November 2, 2014 Leave a comment on Where I’ve been for the last 2 weeks: campus & radio appearances!